Orchidee Vitae Facial Oil is the key to beautiful skin tone and texture, instantly and over time. It is Sweetsation's first concentrated skin care product, in a precious oil form. With a high concentration of active ingredients and Vitamin C, this silky-smooth light precious oil repairs, replenishes and nourishes the skin, improving natural glow, hydration and texture. Light blend of biocompatible micronutrients, antioxidants, vitamins and minerals offers your daily dose of environmental protection to support healthy skin. Orchidee Vitae Facial Oil is the key to beautiful skin tone and texture, instantly and over time. 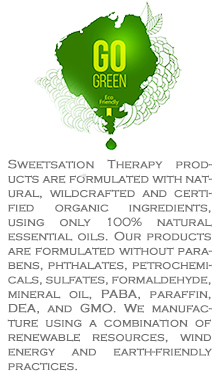 It is Sweetsation's first concentrated skin care product, in a precious oil form. With a high concentration of active ingredients and Vitamin C, this silky-smooth light precious oil repairs, replenishes and nourishes the skin, improving natural glow, hydration and texture. Light blend of biocompatible micronutrients, antioxidants, vitamins and minerals offers your daily dose of environmental protection to support healthy skin. Rich in omega 3 and 6, it prepares the skin for its daily skin care. Orchidee Vitae oil provides the essential nutrients for the skin’s vitality and youthfulness with its powerful blend of plant-based active ingredients that nourish, regenerate and protect (Argan, Maracuja, Baobab and Moringa). Plum and Sea Buckthorn oils maintain the lipid balance of the epidermis. Orchid Flower extract lies at the heart of the formula lending its reparative and protective properties, moisturizing and fighting free radicals. It is combined with essential oils of Bulgarian rose and Lavender, which have toning and soothing properties for a delicious awakening of the senses. Visibly smoothing wrinkles and fine lines overtime, it revitalizes the skin for a radiant complexion. Suggested for normal, dry and mature skin. Ingredients: Organic Argania Spinosa (Argan) Oil, Organic Rosa Canina (Rosehip) Seed Oil, Carica Papaya (Papaya) Seed Oil, Cymbidium Grandiflorum (Orchid Flower) Extract, Brassica Oleracea Italica (Broccoli) Seed Oil, Dipalmitoyl Hydroxyproline (Natural amino acid, essential for skin collagen synthesis), Passiflora incarnata (Maracuja) Seed Oil, Prunus domestica (Plum) Seed Oil, Organic Adansonia Digitata (Baobab) Seed Oil, Organic Rubus Idaeus (Raspberry) Seed Oil, Rosa Damascena (Rose) Oil, Lavandula Angustifolia (Lavender) Essential Oil, Aniba Rosaeodora (Rosewood) Essential Oil, Vaccinium Macrocarpon (Cranberry) Seed Oil, Hippophae Rhamnoides (Sea Buckthorn) Oil, Olive Squalene, Organic Plukenetia volubilis (Sacha Inchi) Oil, Moringa oleifera (Moringa) Oil, Tetrahexyldecyl ascorbate (VITAMIN C), Organic Opuntia ficus indica (Prickly Pear) Seed Oil. Apply 3 - 5 drops in the morning and/or evening on bare, clean, slightly moist skin, face and neck, avoiding the eye area. It can be used alone or before daily skin care to better prepare the skin to receive its benefits. Discontinue use if irritation occurs and lasts. Keep out of reach of children. Do not ingest. Do not use this product if you are allergic to any of the ingredients. This facial oil feels so nourishing - I love it! My skin feels so soft and it leaves a nice glow on my face. I will not want to be without this oil from now on. I have made and tried many diy essential oil blends on my face, but this is the best I have ever tried. I like this oil even more now! It is like a super sponge. Just ordered another bottle and got a fantastic buy one get one free yearly special. Sometimes I get nervous about putting oils on my face because I never know how my skin is going to react. I've been using this oil for about a week and I haven't had any problems~~no breakouts at all. I've found that it's very good at helping with the dry, flaky skin that can happen once we have to have the heat on in the house. As far as the oil goes, it is oily when you put it on. It soaked into my skin in about 20 - 30 minutes and then it didn't have that oily sheen anymore. I was able to put makeup on over it and it gave me a soft, dewy look. If you don't like shiny and dewy, you might need to use powder also. I think this is making my skin really soft and it's definitely more youthful looking. I love the faint rose scent. My hubby and daughter tell me that it smells "pretty". I also like that it's made with organic ingredients. I've only had a good experience with this. I am using this product every day since I got it and I LOVE IT. Make my skin feel very silky, well hydrated and smooth. A little bit goes a long way. I have sensitive skin and have never experienced any reactions to this. Fragrance is divine. It feels luxurious on my face. Absorbs into skin without leaving the skin feeling oily or heavy. I love, love, love this product. What a lovely serum this is! My new favorite. A little goes a long way without leaving you with a greasy skin feeling - so the bottle is a great deal, it will last for a long time. After just a few days of using the oil my skin looked so much healthier. I have done some traveling within a short period of time and all the time changes and dry airplane air left my skin looking pretty sad - this serum turned it around! So grateful it exists and that it works so nicely. It makes my skin look smooth and healthy. I also love that it is all natural - plant based. The serum has a nice smell to it, flowery however not overpowering. I have tried a few other serums but none was all natural, and some even had pretty chemical smell to them. This one meets my wishlist for something that not only works great, but is not full of chemicals and is not tested on animals. Thumbs up! Another great product from Sweetsensations! Love Sweetsation products. This one is packed with an amazing combination of diverse natural oils. I am an oil fan for real, deep moisturization. You can layer over your favorite lotion to get the best moisture boost. New product. Just started using it! I am loving the feel and aroma of this precious oil. Since I have just gotten the product about a week ago I honestly don't see any difference in my skin. I am "ahem" mature so the wrinkles I have I earned and don't expect them to disappear magically. What I would like is for winter dryness to be lessened and my smile lines plumped up a bit! Have been using this wonderful oil for about two weeks now. It's remarkably light, yet very moisturizing. I have sort of medium-dry skin, and this soaks in fast. And the smell is amazing as well--a light, sweet scent that disappears quickly, but is really pleasant on first application. I sometimes follow it up with a night cream before bed, as it advises on the bottle. My only wish would be that this be packaged in glass, not plastic (true for all Sweetsation products I've used, actually). Otherwise everything is perfect!